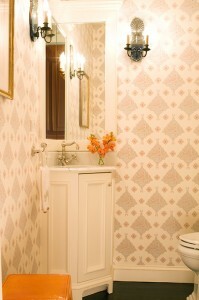 For example, this fantastic patterned wallpaper done in a powder room by Kate Coughlin Interiors. Accented w ith inexpensive pops of orange and some great vintage sconces, it’s elegant and pulled together. 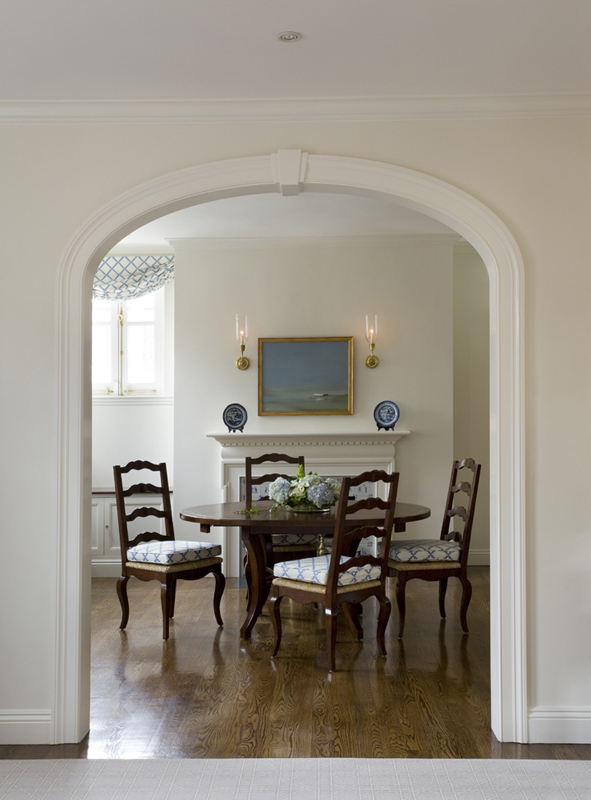 She accomplished the same thing in this dining room with a simple but chic blue geometric pattern. For less expensive fabric options, check out Sultan Pepper in Sapphire and Mazing Grace in Aqua at Loom Decor. Notice the rest of the room is a basic white – focus is on the wood and blue accents from the fabric, china and artwork. And ladies, it doesn’t need to be Canton china. 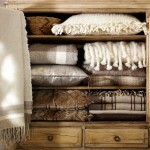 Antique and junk shops are great places to find inexpensive ceramics to compliment your fabrics. By keeping wall color simple, you leave your options open and save money. It’s easy for you or an inexpensive local hire to slap on a coat of Benjamin Moore Decorators White. A halfway decent job will look fabulous. White washed walls create a blank canvas for punchy fabrics like Foxy and the Hound in Red with a grounding print like April Showers in Cherry. 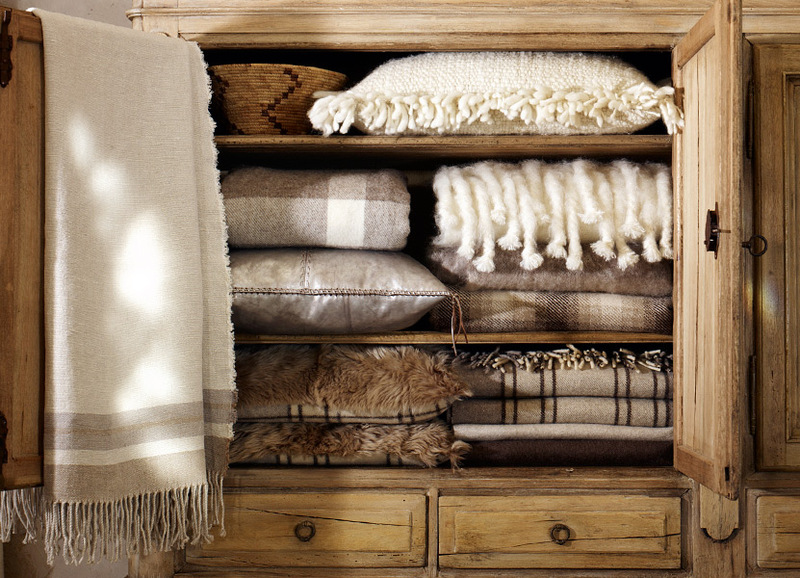 For some fall inspiration, check out this closet of rich, cozy plaids and neutrals in Ralph Lauren’s new Alpine Lodge collection. 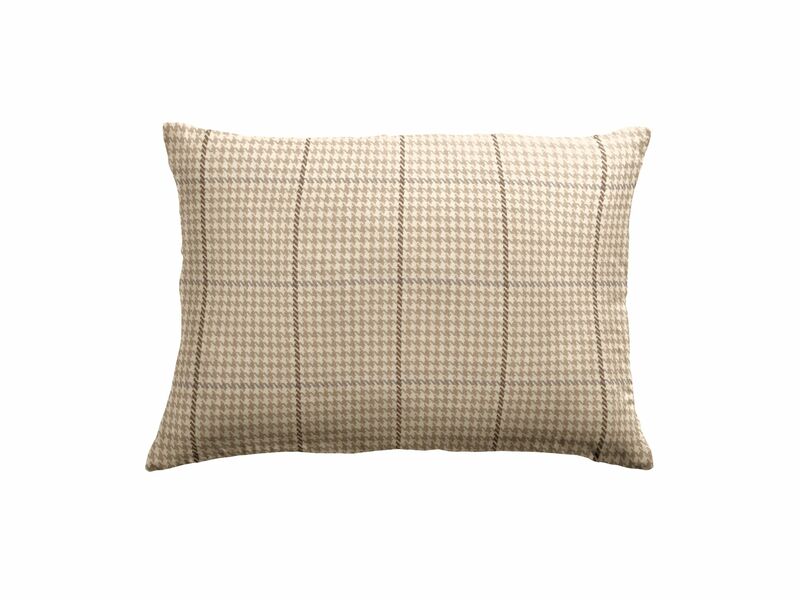 Loom channels this warmth with patterns like Big Zig, Great Scott – Latte and La Crossed in Birch, all available now. Loom makes it so simple to do. It’ll look like you spent a fortune for the experts but you can take all the credit!